Home » Blog » How To Generate A Photography Project Idea…from a Music CD? How To Generate A Photography Project Idea…from a Music CD? What process do you use when creating a photography project? What if you don’t know where to start? What elements make up a music CD project or any other project? Pick up one of your CD’s (if you still have one) and look at all the elements that go into it. Write them down and change the titles to try and apply to your photographic project. Songs are written, sound is edited, copyrighted and arranged in a specific order on the disc. Artwork is designed for the label, booklet and jewel box. Then there is production, marketing and delivery—do you see any similarities? “I find it easiest to think in terms of a series.” Brooks Jensen (publisher of LensWork magazine) told me, responding to an e-mail I sent him. I told him that I have spent my life learning my craft but rarely, if ever, made any personal work and didn’t know where to start. With that in mind, I asked myself what other art form has this same “series” concept in common with photography? Music does. Musicians compose each of their songs in a similar fashion that a photographer might create a photo. Musicians will then take a collection of songs, maybe they all speak to a specific theme or topic (known as a concept album) then make a CD of this collection. But it doesn’t stop there; artwork has to be designed for the packaging and it has to be marketed. With photography, I would think that there is probably one photo in the collection that would represent all the others—this would represent a poster image of sorts or to compare it with a CD, the cover image. Where musician will write the lyrics to their songs for liner notes (remember those? ), I might accompany each image with text about it. The listener/viewer would have the option to listen/read them if they wanted. Where musicians might write some information about the concept of the album on the packaging, I would write an artist statement about the body of work. I am telling you this because for people like myself who are embarking on a fine art photography venture, it’s difficult to know where to begin or how. Thinking of a collection of images like a songs on a music CD project or even some other type of project, just might help show a bigger picture of the dots that need to be connected and the general direction one needs to go to create a photography project. What elements make up a music CD project? Songs are written, sound is edited, copyrighted and arranged in a specific order on the disc. 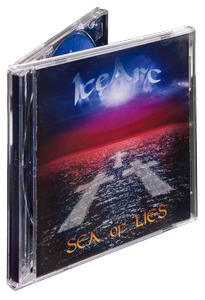 Artwork is designed for the label, booklet and jewel box. Then there is production, marketing and delivery—do you see any similarities?